Execution of a machine instruction is divided into various steps, like fetching, decoding and execution. The role these steps play are different and hence we also need different hardware units, now dedicating different units also enables simultaneous executions. Essentially an instruction pipeline! BlackFin is not a super scalar processor but there can be a certain amount of parallel execution which can happen within a execution unit. Here in lies the key for identifying the instructions which can execute in parallel, we can broadly say that we should be able to execute computational unit operations and load/store operations in parallel. above given is a multi-issue instruction, this combines a 32 bit instruction (extract) with two 16 bit instructions (load and store). The Extract instruction is executed by the Barrel Shifter hardware and the load store instructions are executed by Data address generators. So we have both the modules of the core working in parallel. Looking at this from a “Load Store” architecture point of view we can add one more observation. 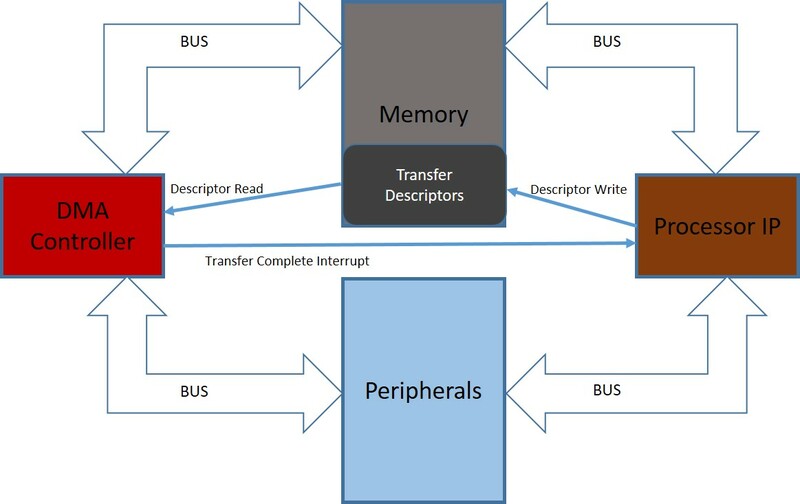 Such a parallel execution of Computational operation and Load/Store operation is possible because the former is not accessing any memory. And all the operands and the destination registers are within the core because of which there are no data bus accesses. 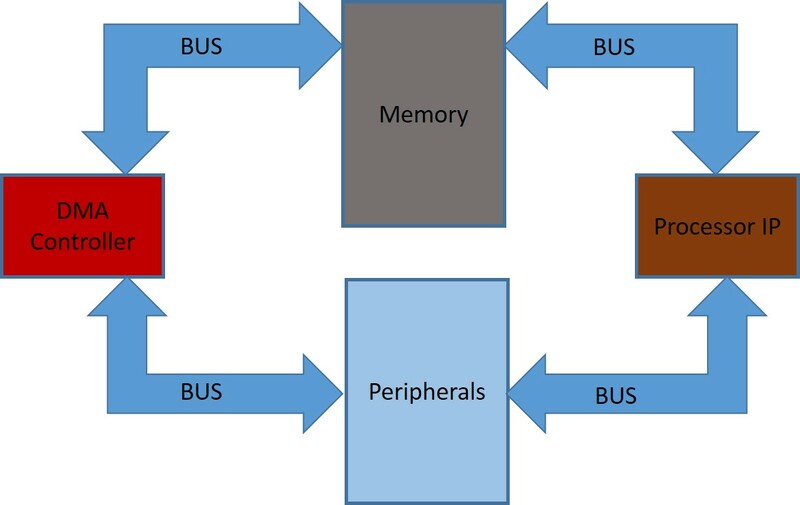 Absence of this bus access is what makes it possible for the core to execute Load and store operation in parallel to the ALU/multiplier operations. The above instruction is not a multi-issue or a multi cycle instruction, we can probably say that if multi-issue instructions use the breadth of the processor then this instruction used the depth. I would leave it to the reader to guess how this one might be processed. Multi-Cycle instructions are those which takes more than one cycle to execute, this is more like a CISC concept, one instruction gets decoded into multiple simple instructions. The first operation given above is a 32 bit multiplication which is not possible considering the fact that the available multipliers are 16 bits, hence this operation is achieved in the hardware by using the same 16 bit multipliers but by doing more than one multiplication operations. The second operation is a stack push, this instruction specifies that all the r5 to r7 registers and all the p5 to p0 registers should be pushed to the stack. 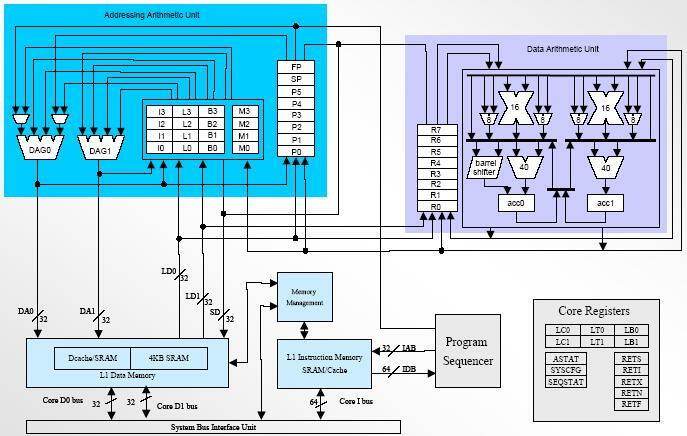 The hardware will sequentially push all the specified registers one by one and this leads to a multi-cycle operation. All the multi-cycle operations are decoded many times over and over again! Some of the features which distinguishes a DSP processor are. There is a code which used the the circular buffering capabilities of Starcore to write into a common buffer. The code which copied data into the buffer was optimized by writing it in assembly. It was also written to make sure that at a time maximum number of bytes were copied using a MOVE operation. In other words if the source and destination was aligned at 8 byte boundaries then the assembly did a MOVE.64 instruction which copied 64 bits at a time. The pseudo code of the assembly is given below. The above method adds the overhead of checking the alignment each time but the clock cycles saved by moving more bytes at a time using the move instruction is much more because size of most of the data written into this circular buffer was a multiple of 8 or at least a multiple of 4. The circular buffering was implemented using the Index, base, length and the modifier register. Lets name them I0,B0,L0 and Mo, the hardware behaves in such a way that as soon as the address in I0 reaches the value B0 + L0 it makes sure that I0 is reset to B0. This was circular buffering is maintained without any additional software overhead of checking bounds. Lets consider a buffer which has the following attributes. Lets see what happens in such a scenario. Below I have given the BlackFin Assembly Code which does the write. As you can see the comments, the first write of two bytes took up the locations 0x02 and 0x03, second write of 4 bytes used up locations 0x04 to 0x07. Now after the first two writes we need to write 4 bytes more, the location 0x08 is 4 byte aligned and 4 bytes have to be written also, so ideally 2 bytes should be written into the address 0x08 and 0x09 and the third and the fourth byte should be written to the starting of the buffer afer a loop back. With the above code this won’t happen and we will end up having a 2 byte overflow but the Index register will loop back properly and leave the first 2 bytes of the buffer unwritten and point itself to 0x04. This was seen in the starcore when the following conditions were satisfied. Start address of the buffer was aligned at 4 byte boundaries so that the end address of the buffer minus 4 bytes will give you a 8 byte aligned address. When the above conditions were satified we ended up having a 4 byte overflow. This is understandable because a load or a store operation has the following operations and they all happen in sequence. Wait for the required amount of wait cycles before Writing the data onto the Store bus or reading data from the Load bus. The circular buffering logic is implemented by the Data Address generator module in the Core and the Bus protocol which loads or stores a value is not aware of this condition because of which it goes ahead and writes or reads the value from the memory and we will have a corruption. This happens during one of the later stages in the pipeline (most probably the Write back Stage or just before that) while the address is generated at a much earlier stage and data gets read during the same time. All this makes sense, hardware is perfectly right when he did a byte overflow. So this is indeed a bug in the software which we solved by making sure that the base address of circular buffer is always aligned at 8 byte boundaries. How does Onchip Breakpoints work? Internal specifics of Onchip breakpoints on Freescale StarCore processors is easily understood if we are familiar with its emulator. So it’s good idea to read the following two posts before going through the details below. A descriptive diagram of the whole debug infrastructure is given below. EEx & EED : General purpose control signals which can be configured for input or output. Usage of this is SOC specific (Derivative specific). Using the second method will need configuring of registers accordingly. Once the Core is in the DEBUG mode, breakpoints can be configured via JTAG. Here we are not going to discuss the details of register settings but a design level overview of how this OnChip Emulator works. The breakpoints/watchpoints should be enabled only after programming the EDU (Event Detection Unit) registers with the configuration which defines that breakpoint. 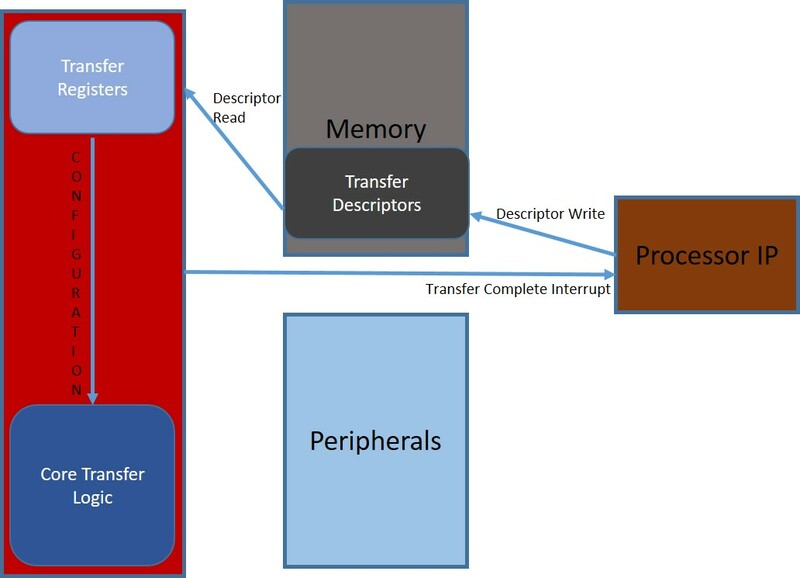 Namely the address in the memory, type of the breakpoint etc. These registers can be written via the JTAG. Configure the breakpoint/watchpoint enabling register by writing into it using the JTAG port. Use the EEx or the EED control lines to signal the EOnCE controller to enable or disable the debug functionalities. Once we program the debug configuration, the host needs to be informed when an event happened or when a breakpoint got hit. EOnCE will ensure that the core enters DEBUG mode by sending it a signal but for informing the HOST we need a mechanism like an interrupt. We can configure one out of the EEx signals to send an interrupt to the host once the core enters Debug mode. From the above discussion it’s clear that breakpoints are supported in hardware via setting of few registers and they can be configured via EOnCE which in turn responds to JTAG interface. If there are multiple break points configured then there are mechanisms to identify which one was hit. Configure EEx or EED signal to assert an interrupt to the HOST, depending on which signal has asserted the interrupt, HOST can know which break point has got hit. Read the PC Breakpoint detection register from EOnCE, this gives the PC of the address which caused the event. PC Breakpoint detection register should me used in combination with reading of EOnCE status register because debug mode can be caused by other reasons also.One important point to be noted here is that EOnCE gives many options for the usage of EEx and EED signals but the way in which it will be used is SOC specific and each platform may have different uses of these. Similarly, if the Event counter has to count “off core” events like Cache hits or misses, the the external signals EC0 and EC1 needs to be used, this is also SOC dependent. It’s obvious that onchip breakpoints need support in hardware, but we could still use some more clarity on how this support is provided. EOnCE is closely integrated with the processor core because it needs to probe address and data buses for certain reference values configured in breakpoint/watchpoint registers. Whenever processor core accesses an address, EOnCE comes to know about this address value and it compares it with the reference value. If they are same then, depending on the Event selector configuration an event will be raised. The event can be a DEBUG exception, DEBUG signal to the processor, triggering a trace, disabling a trace etc. Similar logic can be employed for probing data values also. The above diagram we can see two comparators, A & B, these are two address buses for data access, if we do not know in which bus the data we want will be accessed then we need to configure both Comparator A & B with the reference value and then set the condition for an OR-ing of the comparisons, so that even if one comparison returns a success we will have an event raised. MASK register: The way it works is pretty self explanatory, the address bus values sampled is masked with the MASK register value and then compared with the reference values. Trace Buffer Unit can detect and record program flow related details and send it to an off-core module like Nexus, from Nexus it can be sent to the host using a Nexus port on the board or it can be saved in a circular buffer inside any On-Chip memory. EOnCE comprises of 6 core components. Without this contoller JTAG wont be able to access or program EOnCE. Using this interface we can put the core into debug mode & also write into EOnCE registers, basically this is the JTAG gateway into EOnCE. Counters can count various events! These events can be configured by setting its registers. For example, it can be the number of times a watchpoint was hit or the number of instructions executed, or any external events like L1 cache hits, cache miss etc. EDU forms the core logic of EOnCE, this module can be configured to set breakpoints, watchpoints, or to monitor the address on the data bus etc. EDU can also send a signal to Even Counter so that it can count the number of times an address was referenced or a data was accessed etc. This module is required to synchronize external signals with the internal clock. 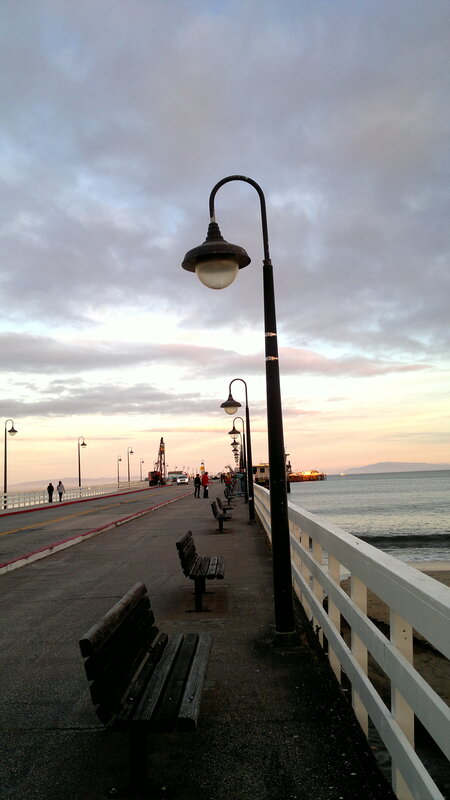 There are a set of general purpose signals which can be programmed to do various operations. For example, we can configure the General purpose signal EE0 to configure the EDU whenever it is asserted through JTAG. This is the last unit in the debugging chain, in other words this decides what action needs to be taken when an event is generated by EDU or Event Counter. The action can be something like putting the Core to the debug mode, or it can be starting a program trace, or raising of a debug exception etc. As the name suggests, this is the hardware which monitors the program counter and generates the call trace. Below Pic depicts the EOnCE controller and its component modules. Working with on-chip debug IP modules was a definite learning experience. It included writing low level software for setting breakpoints, watchpoints, configuring of call trace and also maintenance of a hardware dependent high performance data logging module. Such debug modules rarely get the appreciation which they deserve, considerable amount of chip space is dedicated for hardware IPs which enable us to develop such complex embedded software. Each processor comes with its own unique ways of implementing debug modules, my understanding is based on the experience with StarCore. Lets look at the the features of the On chip Emulator which gives the infrastructure for doing all the debug activities. Below we can see the diagram of a typical JTAG based debugging setup. EOnCE is the debug module which add all the above mentioned capabilities to the StarCore based platforms. There are various points which we need to note about EONCE. 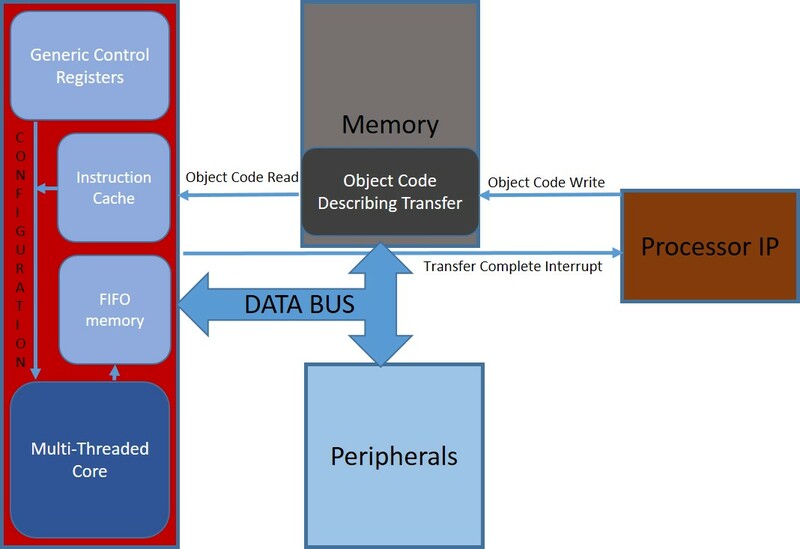 Eonce is accessible using JTAG as well as from core by addressing its memory mapped registers. Simultaneous access of Eonce from JTAG as well as Core will result in JTAG access getting prioritized over the StarCore access. JTAG writes into EOnCE registers using JTAG port and configures it for debugging related features. When we set a break point or configure a trace using the debugger on the Host PC at that time a message is send to the EOnCE module on the Target, this message makes sure that our debug configurations are applied on the chip. This is one of the most obvious reasons to use a JTAG debugger, pretty much sure that we can never deliver anything on time if we have to start flashing the binary each time we compile and test it. Every module on the chip has a controller(TAP Controller)associated with it which makes it JTAG compliant , in other words this very TAP controller connects the JTAG port to the hardware module. 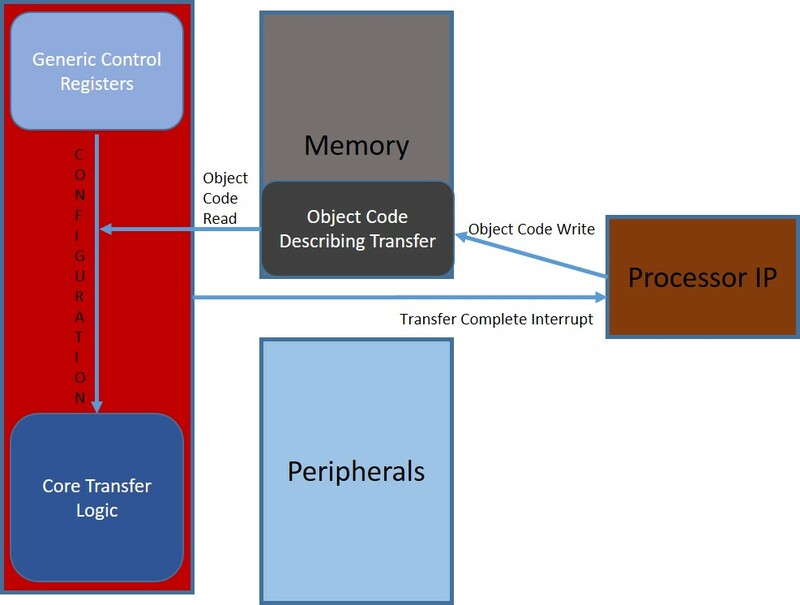 In the above pic we can see the DMA module having a TAP controller and it being interfaced with the System JTAG controller(SJC), which is the main JTAG controller, as illustrated in the above pic every peripheral and core logic inside a chip will have a TAP controller and this is accessed and configured using SJC. Now lets see what all steps are involved in downloading code into the target RAM. First we need to place the processor (StarCore) is in DEBUG mode, for that we need to send the DEBUG Command to SJC. Next step is for accessing the EOnCE, execute the command to select EONCE TAP controller through SJC. From this point on we will be able to directly control EOnCE using JTAG. Now send the program data to the EOnCE recieve register, now we need to move this program data to the StarCore accessible memory. For that we need to execute a MOVE instruction. Every command which needs to be issued to the StarCore through JTAG has to be written into a specific Econce Command register. The above steps are repeated till the whole program code is written into the memory. Now that makes up the rather elaborate sequence for downloading contents into the RAM. A lucid article on how Edge triggered and level triggered devices are designed.